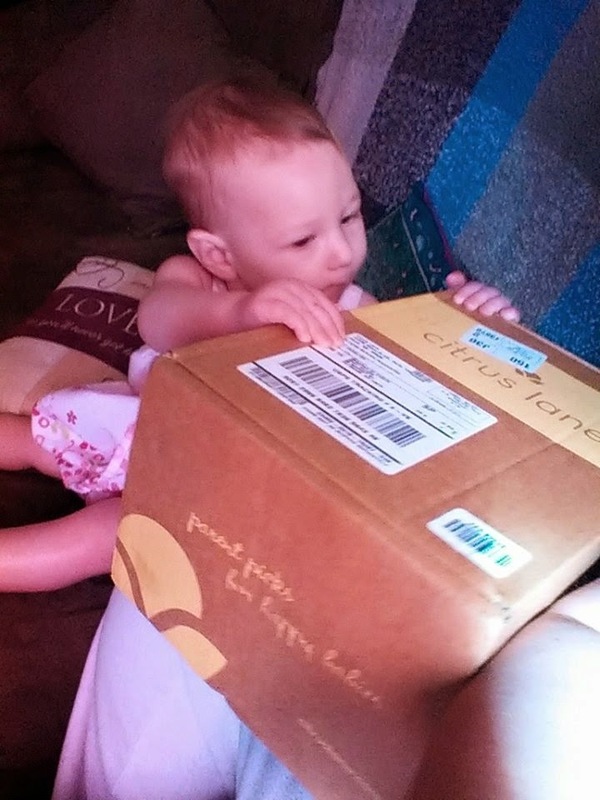 Yesterday after me and my children came home from CAPE (yes I am going to do a write up on the insane fun that that was), I saw that Munchie's Citrus Lane box for April had arrived. Too tired to open it then we waited until this morning. The kids like to join me in opening it. So we opened up the box. After last month's disappointing inclusion of Johnson and Johnson products I was a tad worried. I was pleasantly surprised! First up was a pair of Hohner brand Maracitos. I looked up the price on these and they run about 9$. These are the same high quality ones we use in the daycare for music classes. Munchie and Bug loooved them! 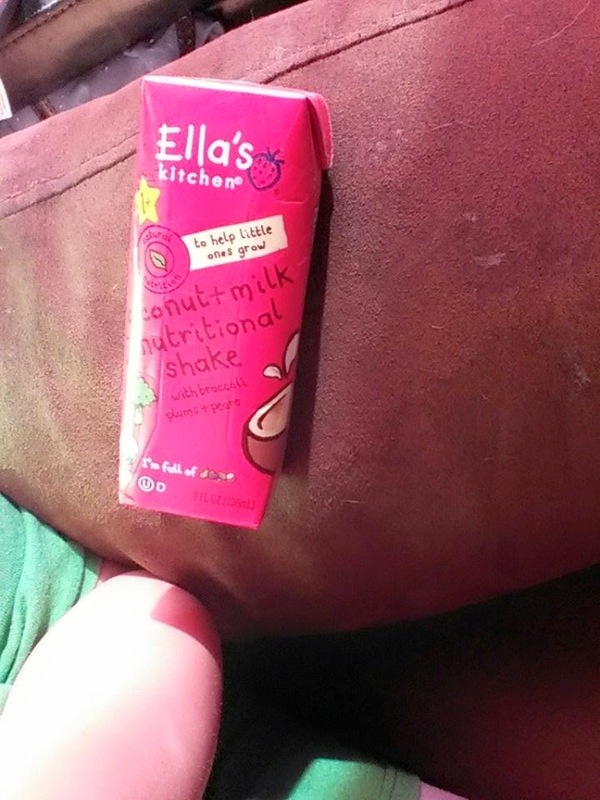 Next up was an Ella's Kitchen Organic Coconut Plus Milk Nutritional Shake with Broccoli Plums Plus Pears. This costs about 20$ for a pack of 4 so roughly 5$ each. I found it yucky but the kids looooved it! They split it sip by sip and both seemed pretty full after. 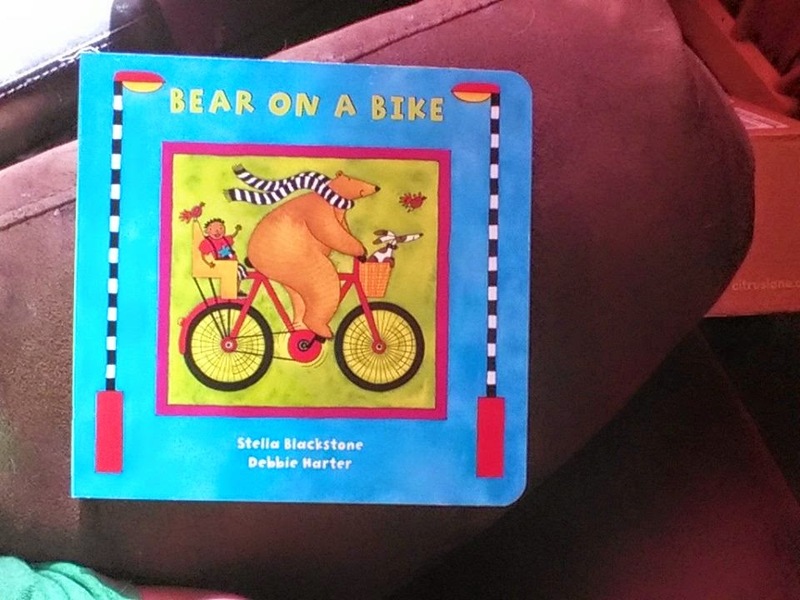 Next was a board book from Barefoot Books, "Bear on a Bike", by Stella Blackstone. This I found a variety of prices for but the average seemed about 10$. Bug read it to Munchie. It was very cute. Lastly was an item I have had on Munch's wishlist on Amazon for awhile now, ever since I first discovered the brand Green Toys. 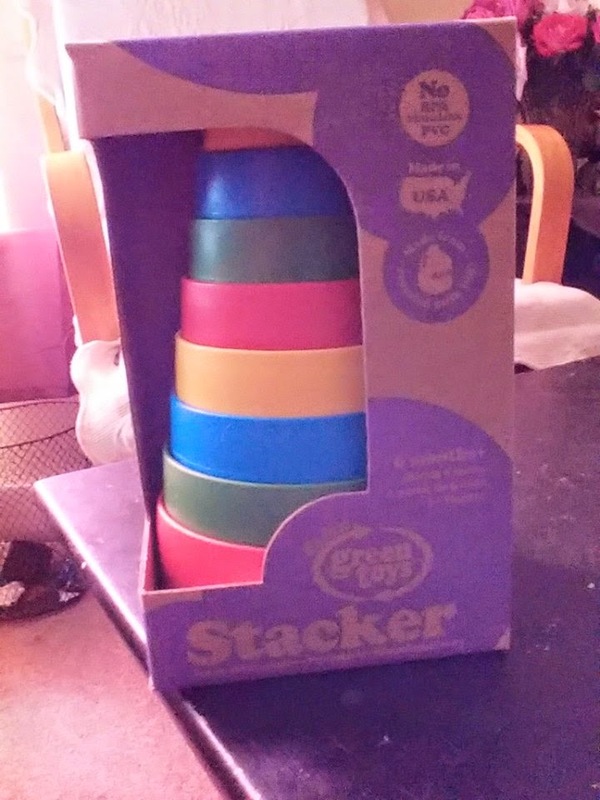 The Green Toys Stacker. It retails for about 18$. I wrote up a whole post about them this morning. You can read it here. I love this stacker! It is just such an amazing toy! I must admit I am a tad addicted to Green Toys now. 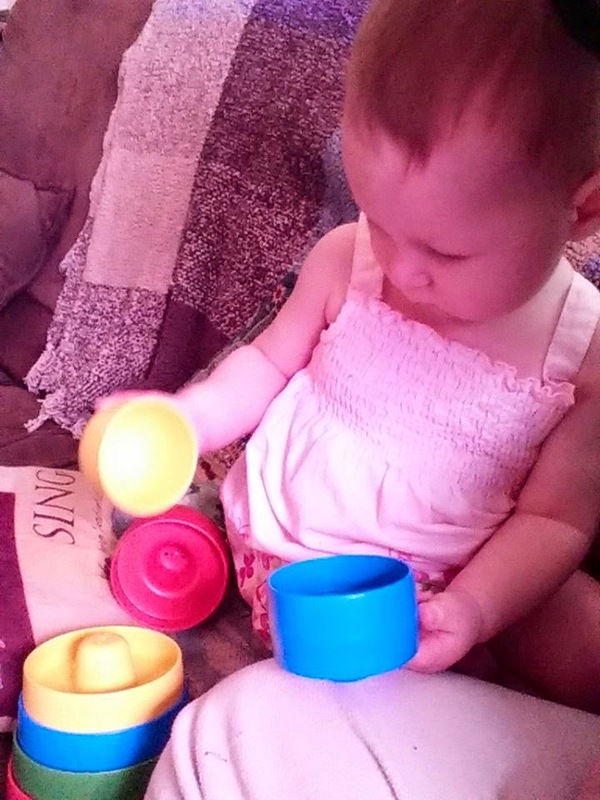 Here is Munch playing with her awesome new stacker. Lastly was an offer for a 90$ membership to downloadable yoga classes for 30$. So I suppose you could say that is a 60$ value, though personally I am not going to jump on that offer. So I won't be including that in my value assessment of this month's box. So tallying up the 4 tangible items, the value of this month's box was approximately 42$. I think that's a good value for a 20$ a month box. All in all I am much happier with the box this month than last month. The kids seem happier this time too. Good job Citrus Lane!